I remember watching a cartoon TV series when I was a kid (90's I think, or very early 2000's) on Australian TV. It was a fantasy setting, but the one strong memory I have is of subterranean caverns with structures (temples etc.) 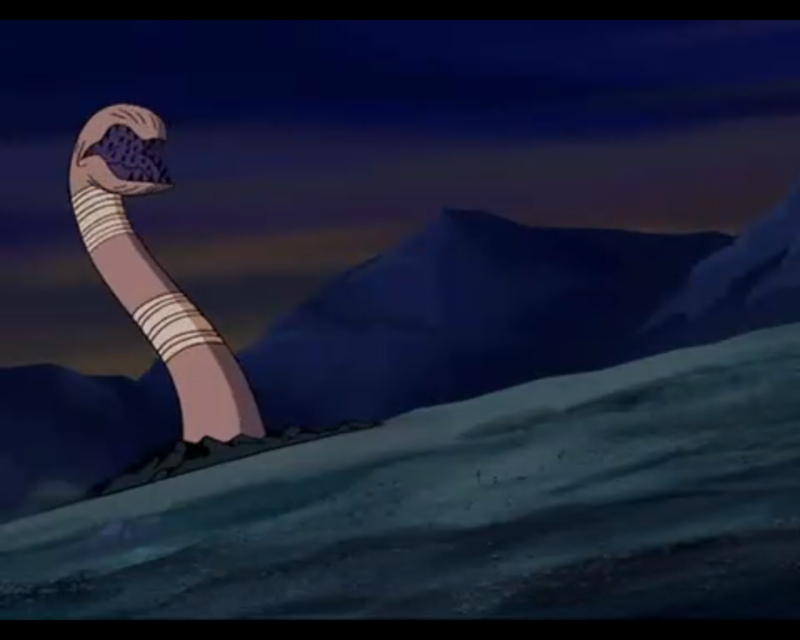 and it featured giant burrowing worms which would eat through solid rock. I believe the protagonists were children, but I am not sure how many main protagonists were featured (maybe a boy and a girl?). I cannot really recall any other settings or tableaus from the series - I believe my memory of the worms was of a couple of scenes where they blindly burrow through to an underground city and destroy everything in their wake (I remember them chewing through temple columns and then gobbling up the broken pieces). 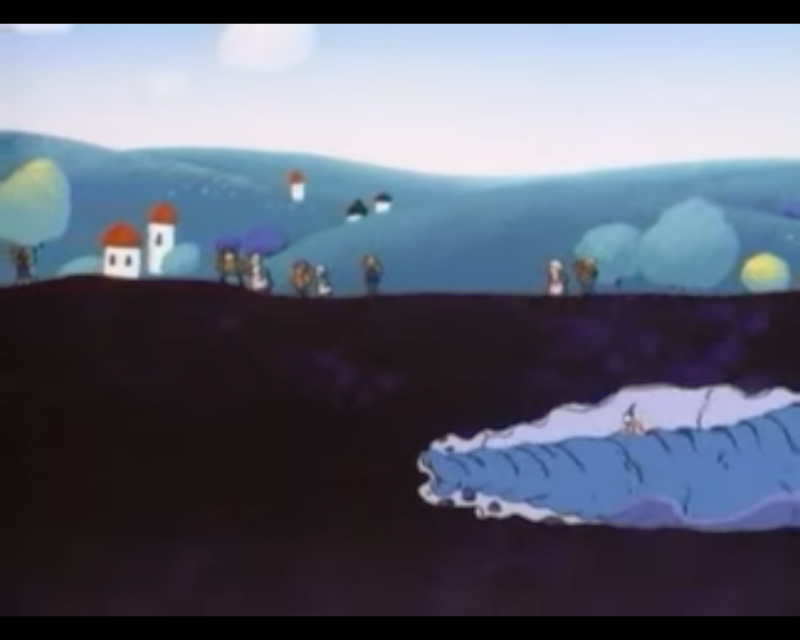 Specifically it appears to be episode 47 "[G]Nomes On The March" ("Bakekubi abare ru"/"Bakekubi Goes on a Rampage"). A picture of the worm can be seen below. It actually appears to be an anime rather than a cartoon and was dubbed and released in Canada later on.